Tocharians and Afanasievo people lived in very different environments. Tocharians populated Oasis-City states of the Tarim basin but Afanasievo people lived in a steppe region of the Minusinsk basin. So it is dangerous to link them without more evidences. 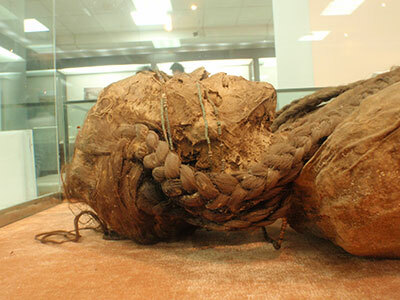 And actually there is some ancient dna from the Xiaohe culture in the Tarim basin and they were R1a-Z93- what means, if correct, that the Xiaohe culture was Indo-European but not Indo-Iranian. R1a among them also means that they are hard to link with Afanasievo, which was like Yamnaya dominated by R1b. 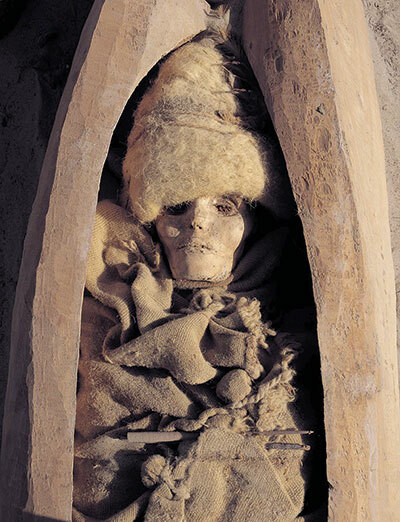 So we maybe have ancient people in the Tarim basin, which were neither Indo-Iranian nor Afanasievo-derived but how they came to the Tarim basin and which Eneolithic steppe culture is ancestral to them is very hard to say. Maybe there was another pre-Indo-Iranian movement of steppe people, which was MLBA-steppe like and rich in R1a, but this is speculative and there are some other possibilities. Xiahoe could be still Indo-Iranian, but with an exotic R1a clade or the results are simply wrong and they are actually Z93. Also we can not 100% exclude that Afanasievo was carrying R1a in small frequencies too, which somehow after bottlenecks and founder effects became frequent among their descendants in the Tarim basin. Last edited by Coldmountains; 02-09-2019 at 07:37 AM. Ancient and modern Uyghurs are two different groups of people. Modern Uyghurs adopted the ethnonym 'Uyghur' at the congress of people of eastern Turkestan in Tashkent in 1921. The congress was held after Soviets began drawing borders in central Asia based on ethnic identities establishing new republics. Prior to 1921 modern Uyghurs identified themselves as 'Muslims' or 'Turks'. Modern Uyghurs speak the language most similar to the language Uzbeks of Fergana valley speak. Probably, they are similar genetically too. Also Minusink basin is more of a large valley surrounded by mountains from four sides. Climate and environment are different to those of Mongolian or Kazakh steppes. Last edited by Volat; 02-09-2019 at 11:37 PM. I don’k know whether the Xiohae people were IE. I just add the circumstantial evidences. Actually I don’t like modern scientists who try to separate steppe peoples by east and west in spite of their cultural similarity. 1. Currently, 85 west chinese including xinjiang have R1a-M17. 2. 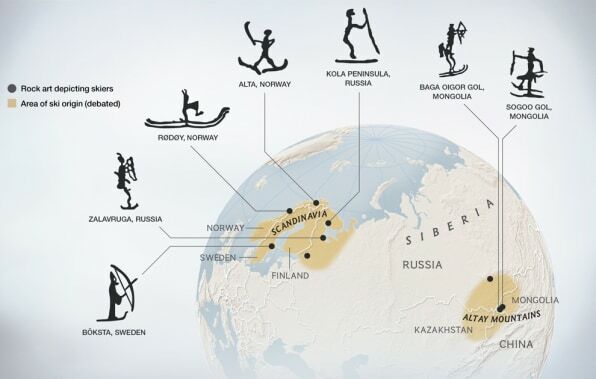 The scandinavia and altai had a cultural connection since mesolithic age. 4. To me, the Xioha girl is just a american indian girl with a feather and braids. 7. Before afanasievo, the west DNA entered east asia aleady. 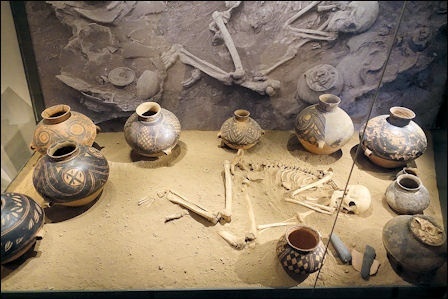 See the yangshao guy of neolithic china and pottery related with cucuteni culture. 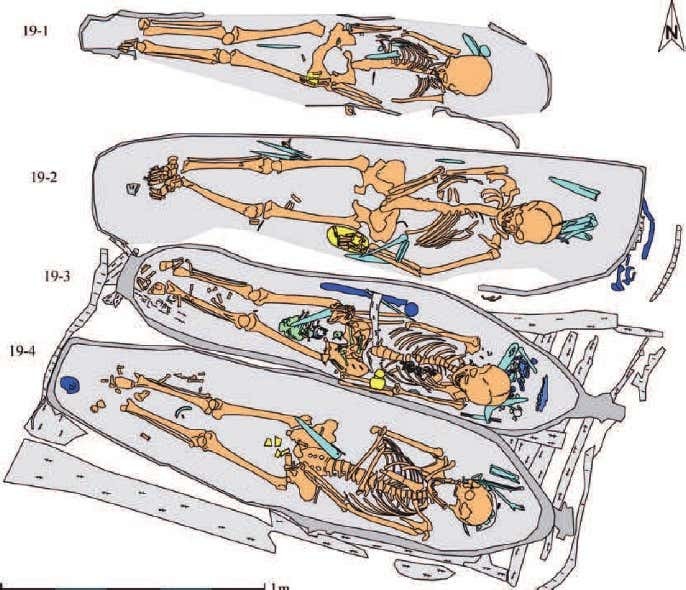 The connection between the Afanasievo with 1) is strongest, but beyond that, we could just as easily argue that 2-4) were early East Iranians. Mallory and Mair broadly agreed with this viewpoint in The Tarim Mummies. The current genetic data, as others have opined, indicates that Afanasievo didn't make a substantive contribution to the succeeding local E-C Asian cultures we have data for currently (f.ex. Karasuk is predominantly MLBA steppe with additional ANE-rich Eurasian and ENA). I agree with a previous commentator, who speculated that Afanasievo probably mostly survived in local E-C Asian groups, and contributed to the early Turks (there's possible linguistic evidence in favour of this) and Mongols. The Y-DNA R1b-M73 found in both could be a remnant of Afanasievo (we haven't ruled out that they're M73+, have we?). This is, of course, a highly perceptive idea of Michal's from several years ago (which should be entertained until it can be definitively ruled out or confirmed IMO). Regarding the city-state oasis status of the Tarim sites, Mallory and Mair raise the possibility that the agricultural practices which made them possible was ostensibly from the BMAC and transmitted by the early East Iranians (technology transfer). BMAC terms relating to agriculture are apparently present in Khotanese Saka IIRC. Ergo, the descendants of Afanasievo aren't required to explain the founding of these city-states. Yes, you are right in everything. But if we need to sick the details. Ancient Chinese texts described Tocharians mostly as red haired and blue/green eyed, more linked with Celtic and Udmurts people, Udmurtia is just a little bit further north than the Samara Bend. Also for me the Centum character of the language, and the high proximity with Celtic and Italic groups according to some linguists, exclude totally a CWC/Sintashta related ancestry. I think for my side that Afanasievo / Tocharians makes the most sense, but what do i know. Also western tarim was clearly indo-iranian looking at the name Kashgar, so it might even be more difficult to separate both. A very early Poltavka R1a/R1b with a centum language could still be a possibility, but can it even be feasable? As for R1b-M73 it's probably just a pickup of Botai-like by early Yamnaya migration no? Or even an ante-yamnaya botai-like migration towards east. Centum and Satem are outdated linguistic classifications. For example Armenian is a Satem language but Proto-Armenians were not Corded Ware derived and carried R1b instead of R1a. There is no M73 in Afanasievo, it's entirely Z2103 (at least as R1b is concerned), same as Yamnaya. Botai looks like a good candidate for the M73 source. I dont think the idea is outdated, i just think interactions were more complexe especially in the Balkanic and Iranic contextes. It seems to be a weird transition in Illyrian-Thracian-Greek-Armenian continuum, wich probably result in the fact that both Balkans and Armenia were in the middle of very intense cultural relations between the Centum and Satem world. There is a clear cut that Indo-Iranian and Balto-Slavic are distantly related to each other, and the CWC-Sintashta relationship hypothesis demonstrate this clear cut. 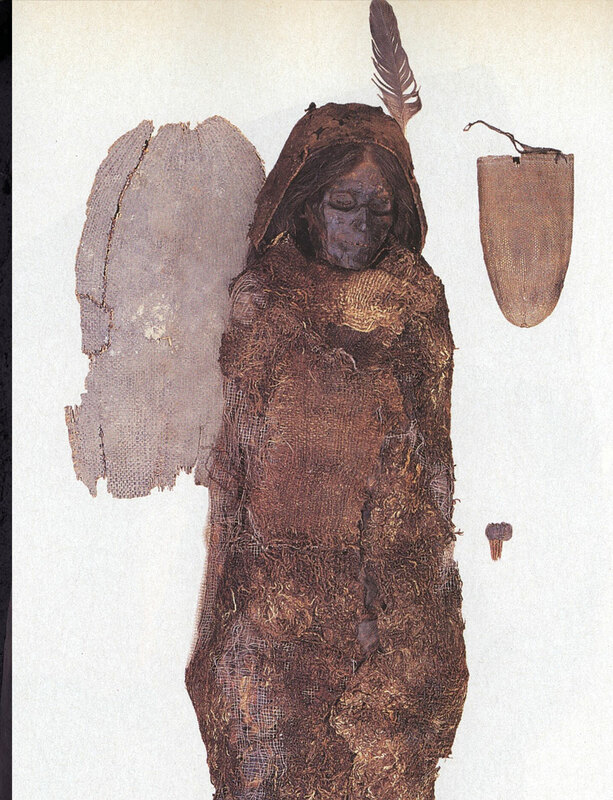 But, there was Poltavka, Catacomb, Srubna, cultures that could have been transitional into those distinctions. Remember that Centum people like Italo-Celtic-Germanic and Tocharian highly predate those cultures. Aremnian, just like Greek are probably coming from Late Yamnaya or such related culture like Catacombs, where the more homogenenous R1b-Centum / R1a-Satem didn't exist anymore.